Food doesn’t have to be boring. Just because you are eating clean doesn’t mean you have to feel like you’re eating cardboard. In fact, we highly encourage you to use lots of spices to make your food taste better. I want you to try all kinds of different spices too. 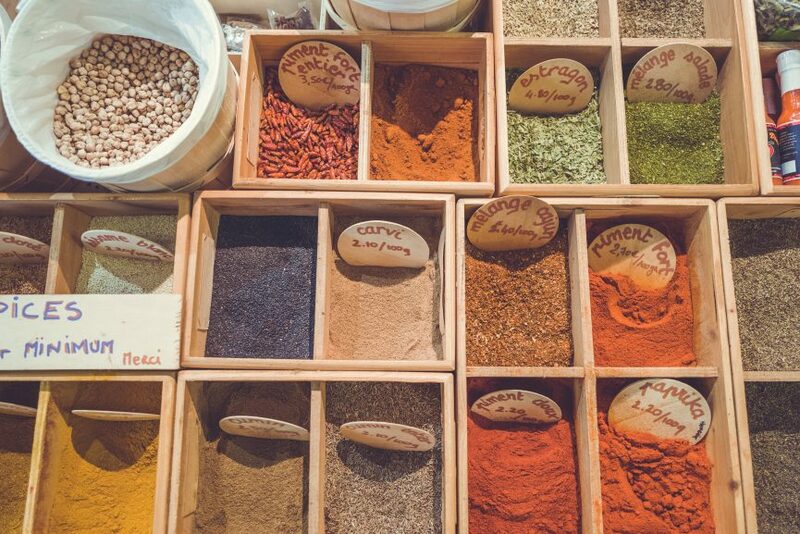 Many spices are actually very beneficial to your body. Try out some of these ideas to add a little more nutritional value and a lot more flavor to your meals. Cinnamon helps to decrease blood sugar and the insulin response to starches. I add it to my almond milk for my coffee in the mornings. Cinnamon also adds a hint of sweetness. Coconut amino acids are a very good soy-free replacement for soy sauce for those who are sensitive to soy. Cumin can help your digestion. It is a source of essential minerals like phosphorus, thiamine, and potassium. Garlic is a good source of sulfur, which aids with detoxification. Ginger is great for decreasing inflammation and it’s an excellent digestive aid. Nutmeg has detoxifying properties and has been known to help spur the liver and kidneys to eliminate toxins and impurities. It’s also been used as a natural digestive remedy for digestive problems. Onion Powder is a detoxifying spice. Onions are a good sourve of the antioxidant queretin which is found to have anti-inflammatory and anti-carcinogenic properties. Oregano contains the essential oil Thymol, which has anti-bacterial and anti-fungal traits. Oregano is also an excellent source of minerals like potassium, calcium, magnesium and even iron. Rosemary is an excellent antioxidant and great for your heart and blood pressure too. Saffron not only add a different taste to your food, it helps to dull hunger. Vinegar is a great digestive helper. When added to high starch meals, it helps to decrease your blood sugar and insulin response. Vinegar is also a great base for home made salad dressings.